CU by Day: CU Blog Train... All Aboard!!! Happy Friday once again! This time though, it's an extra happy Friday because the CU Digitals Blog Train is in town!! This is a first time ever event and I'm so excited to have all these fab designers joined together to bring you a whole pile of free CU samples from the fantastic shops at CU Digitals! Did you like my Glitter Brights from last week? Well this week I have the Glitter Lights for you. The same gorgeous colors and neutrals, but all lightened up to suit your gently colored pastel kits. Glitter Lights also comes with a bonus glitter brush. 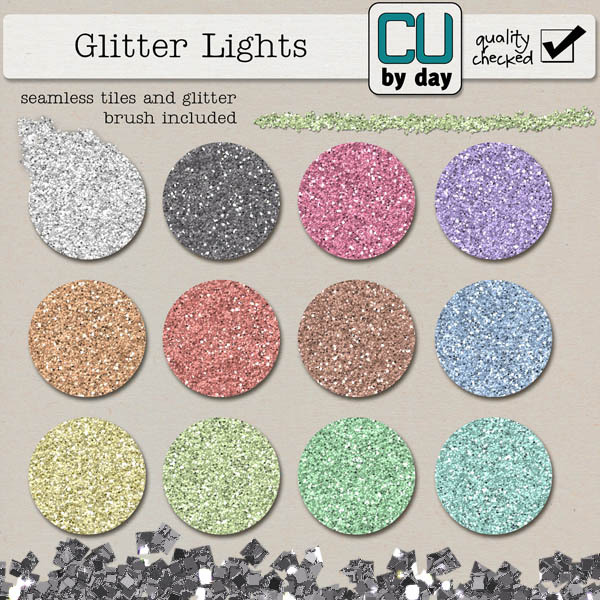 And check out my set of glitter brushes, lots of variety to suit all your projects! Also new this week is a set of Spring Flowers. 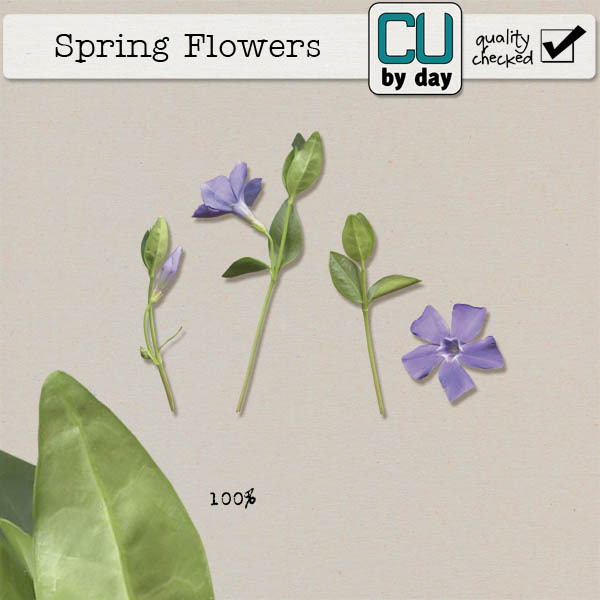 Tender new shoots and buds, so pretty and perfect for your Spring and Mother's Day kits! Of course, all my new goodies are on sale this weekend only, so get them now for the best price! Wait, did I just say freebieS?? Yup, you heard right! I have a Blog Train freebie for you, but did you also know that if you LIKE my FB page you will get a freebie on the Just 4Fans tab? And if you sign up for my NEWSLETTER you will get a freebie just for signing up? Now, finally, here is your blog train freebie! Enjoy your ride, find all the stops listed below the preview. Thanks for visiting and don't forget to stop by CU Digitals regularly for more fantastic quality CU products and to sign up for the CU Digitals newsletter! Thanks for the flower. It's beautiful! Thanks you - so pretty! Thank you very much for this wonderful blog train. Thanks for the awesome element.